Extend the life of your boat cover with our boat cover support pole! Alleviate pooling water and snow by supporting your cover. 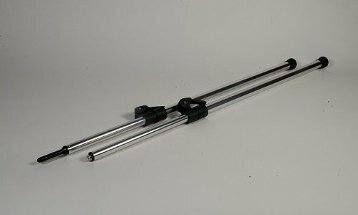 Our lightweight support poles will telescope in height from 22-70". The poles are made from heavy-duty anodized aluminum tubing and available with either a snap, or tip end.